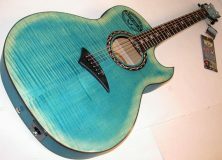 Finding the right acoustic guitar amplification for instruments without on board electronics is easier said than done. 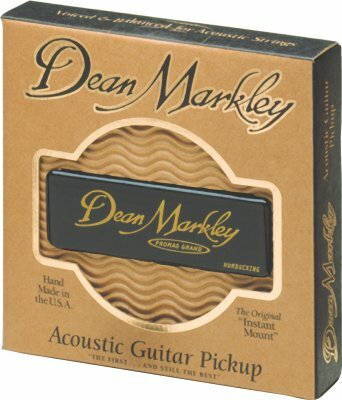 The Dean Markley ProMag Grand, a humbucking magnetic soundhole pickup, can provide a quick and uncomplicated option. Putting the ProMag Grand in place is a straightforward process, a convenient feature that makes this Dean Markley guitar product so appealing. The 4″x1-1/2″x1/2”pickup, with a polished ebony piano finish, sits inside a maple housing cover. 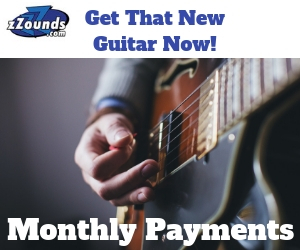 Both ends have rounded edges filled with spongy foam cushioning designed to fit snugly against the guitar soundboard. 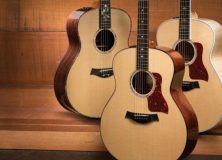 When a guitar string is picked or plucked on an acoustic box, vibrations are produced that travel over the soundboard and into the chamber of the body where they are trapped and then forced out of the soundhole, precisely where the ProMag is positioned. A somewhat different process takes place in solid body electric axes. Once in place, the pickup can be manually manipulated slightly closer or farther away from the strings, affecting the overall sound level accordingly. The ProMag converts vibrations and magnetism generated by metal strings, as well as the patented magnetic metal coils inside this Dean Markley humbucker, into electronic signals that travel through the attached guitar cable into an amplifier where it is transformed into sound. Because the pickup converts energy from one form to another – the vibrations and magnetism into electric signals – technically it is considered a transducer. 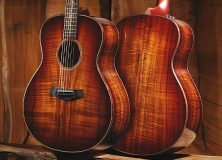 The ProMag was tested on a Fender DG-11 dreadnought tuned to open G, DGDGBD, with action high enough for slide guitar and fitted with D’Addario acoustic EXP 16 coated phosphor bronze light strings. The slide used was a glass Dunlop 212, worn on the pinky. A Boss DS-1 distortion pedal run through a Marshall acoustic AS50R Soloist guitar amp with reverb and chorus did the rest. When provoked, the Dean Markley set-up generated nasty, grungy, single string leads that growled with a heady, untamed character absent of hum noise. Overall, the pickup produced warmer midrange than bass, possibly a reflection on the guitar model and not the Dean Markley. Chords sounded slightly complex and bright. The ProMag Grand carries a manufacturer’s suggested retail price of $129.95 on the Dean Markley website, but can found for around $50-$60 elsewhere.